Welcome! I'd love to see you in class soon. A few things to note: I don't burn incense. The room is usually kept a bit warm. Music may or may not be played. I'll offer up lots of loving assists. Laughter and sweat will likely occur. Becky is a music-loving southern lady with very little drawl but a lot of hospitality. Her love for yoga has changed the way she approaches herself, her loved ones and the world she lives in, and she thinks it's for the better. Her classes are heavily influenced by her personal practice of Ashtanga yoga, where the asana is athletic and the movement is methodical and mindful. Becky completed Mimi Rieger’s 200 hour Power Vinyasa Yoga Teacher Training in January 2014. She assisted this program for the following 3 years. Becky is also trained in Yin Yoga (50 hour training under Yael Flusberg), Mindful Yoga Therapy (Yoga for trauma) and Kids Yoga. Becky can be found practicing and apprenticing in the Mysore Ashtanga tradition under the guidance of Michael Joel Hall. 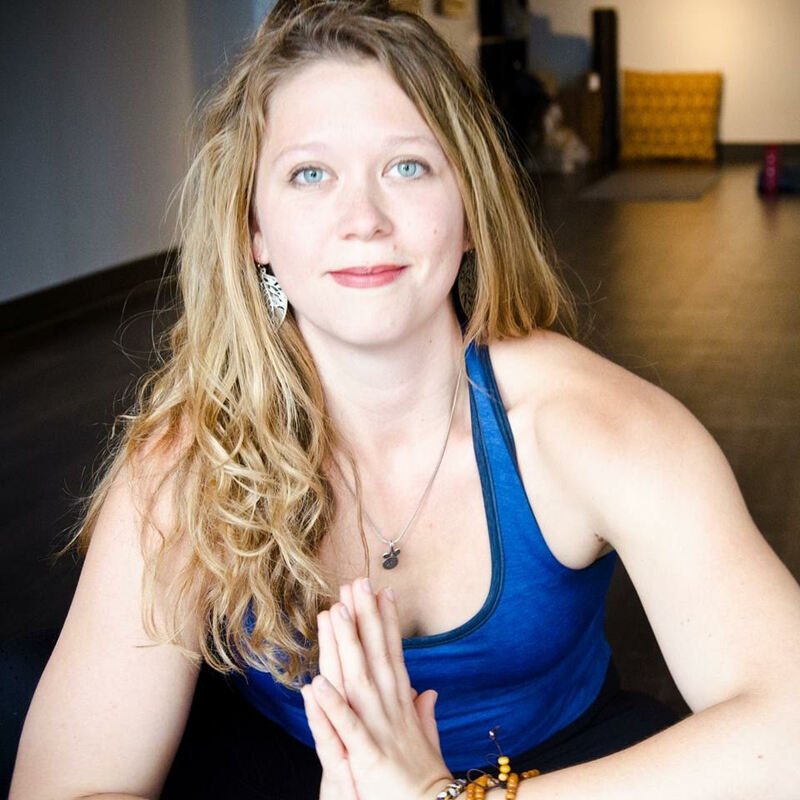 "Becky Paris is a spunky, lovely, caring, outright gift to the DC yoga scene. She’s extremely talented at teaching. But she’s also soulful and will sooth your shattered soul. She also loves rocks and crystals, and is a wealth of knowledge for both magic and science." "Becky has a unique and powerful ability to see each student and help them grow." "Becky creates an atmosphere in her classes that is both grounding, rooted in the rhythm of movement and breath, and uplifting in spirit, humor, and community. 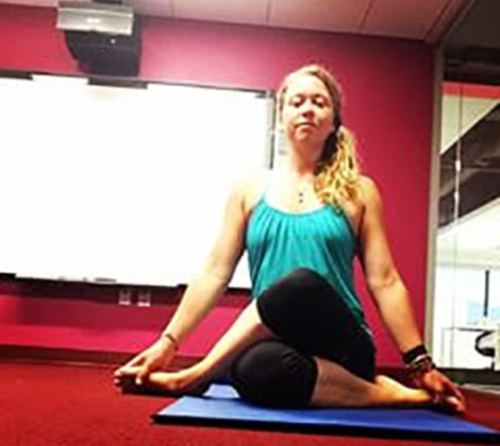 Whether in one of the DC studios or grassy knolls on one of her retreats, there's always a sense of safety, camaraderie, and self-reflection in the space she creates for her students to practice." "Becky is one of the strongest yoga teachers I've had. She has a style of teaching that's a great balance of easy-going and structured. I always feel great after her classes." "After my yoga teacher training, Becky mentored me in a one-on-one setting that helped me find my voice and style as a new teacher in a more in-depth and personalized setting. It truly helped me gain confidence, knowledge, and self awareness to hold space for myself and students whether I am in a studio or corporate setting. Becky was thoughtful and methodical in what we worked on and offered a ton of feedback - her teaching style and personality shined through in these sessions and I am grateful for the time and recommend new teachers who are still finding themselves and their style to work with Becky!" "Becky is an insightful teacher who provides excellent yoga instruction to newer practitioners (like me) as well as to advanced students in an inclusive community that celebrates yogis of all kinds...Her vinyasa and power flow classes give me the challenging workout I crave, while her thoughtful instruction complements the workout, giving me cues to focus on my breath and my intention and reminding me that yoga is about more than just the physical work." "Becky's classes offer her students a safe and welcoming space. She encourages you to push yourself to a deeper place each time you get on the mat. After class, I feel energized and enlightened. Becky is a great teacher whose positive attitude and warm smile makes sweating a lot of fun!" "Becky forms genuine, caring relationships with each of her students. I feel renewed each time I leave her class and each visit makes me more excited for the next one. I've become much stronger in my practice because of her." Special Labor Day Weekend retreat! 2 nights and gets you back home in time to decompress and enjoy the holiday with friends and family before returning to your work week. Join Becky for a weekend of yoga, healthy eating, and community at this beautiful and cozy retreat center. Our weekend will include daily sweaty power yoga, sweet sweet yin, playful movement, and lots of space and time to nap and read and sunbathe and spend time in Harper’s Ferry in awesome community. All housing is shared occupancy. Cost is $319 and covers all meals, housing, and activities. Want to bring a fun and calming workout to your staff? Yoga is a great way to bring focus and calm into a work space, and can be a beautiful way to facilitate community. Becky has years of experience teaching yoga in conference rooms, school libraries, and high-end gyms in federal agencies and NGOs. Perfect for beginners and advancing yogis who want to study the practice holistically and more in-depth. Yoga is traditionally taught in one-on-one and small group settings, as there is more space for knowledge transference. Privates can focus on a particular part of the body, energy, or philosophy, and can utilize tarot and reiki healing if desired. Feeling shaky in your knowledge or voice as a new teacher? Want to feel confident in your sequencing, assists, and cuing? Becky can help guide you to be confident and empowering as you begin your adventures in leading classes.